In addition to that Force Touch trackpad with Taptic Engine, the new entry-level 15-inch MacBook Pro is available with an Intel Core i7 processor clocked at 2.2GHz, Iris Pro Graphics, 16GB of RAM and 128GB of updated SSD storage that’s up to 2.5 times faster than the previous generation. The machine, which starts at $1,999, also offers better battery life, with up to nine hours of web browsing and iTunes movie playback. 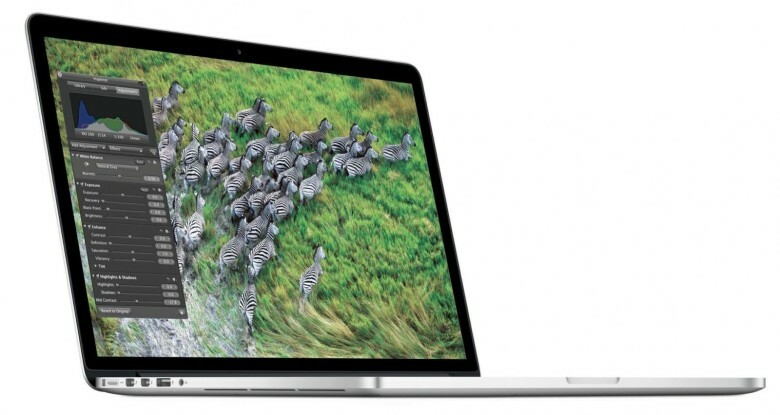 Those looking for a little more power in the graphics department can also get the new 15-inch MacBook Pro with a faster 2.5GHz Core i7 chip, 512GB of storage and an AMD Radeon R9 M370X GPU with 2GB of GDDR5 memory for $2,499. Interestingly, Apple says both of these machines are still running fourth-generation Haswell chips, not Intel’s latest Broadwell models, which bring performance improvements, greater power efficiency and the latest Iris 6100 graphics. If that puts you off, or you just prefer a desktop, you can now get a 5K iMac cheaper than ever before. Apple has introduced a more-affordable option with the same 27-inch display, a 3.3GHz Intel Core i5 processor, 8GB of RAM, a 1TB hard drive and AMD Radeon R9 M290 graphics for $1,999. The high-end 5K iMac is now $2,299, and it packs a 3.5GHz Core i5 processor, 8GB of RAM, a 1TB Fusion Drive and AMD Radeon R9 M290X graphics. You’ll find all of Apple’s new machines in the Online Store now.